Sitting on an ancient maritime trade route between East and West, Indonesia is well-placed for China’s ambitious Belt and Road Initiative (BRI). But despite a slew of investment promises, problems around land acquisition, construction permits and the politicisation of Chinese investment have hampered plans. With the Indonesian presidential and legislative elections just around the corner in April 2019, the situation is unlikely to improve anytime soon. Despite political sensitivities, the overlap between the priorities of the Indonesian President Widodo who has staked his reputation on improving the country’s infrastructure and the aims of the BRI will ensure continued cooperation. Hopes were riding high for increased investment cooperation when Xi Jinping came to Jakarta in 2013 to introduce his signature plan before the Indonesian legislature. 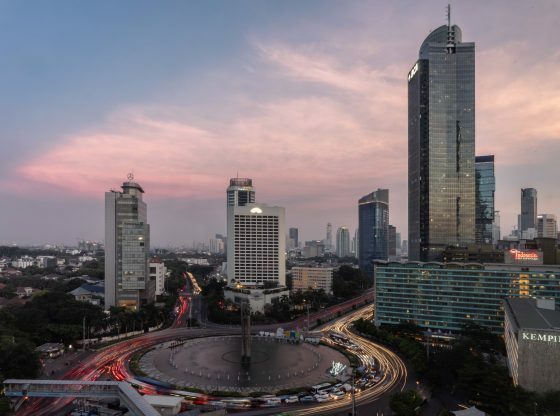 Indonesia had largely escaped any ill effects from the 2008 global financial crisis, and with an average annual GDP growth rate of over 5 per cent, the economy of this vast archipelago with its 270 million inhabitants continued to expand. After decades of relatively low infrastructure spend from successive Indonesian governments on tight budgets, public-private partnership projects with both domestic and foreign partners became more aggressively pursued under President Yudhoyono (2004–2014). In this context, the BRI seemed like manna from heaven with its state-backed private investments, yet official data show that the ratio of investment realisation to commitment from 2005 to 2014 was only 7 per cent. Sitting down recently with Chatib Basri, Chairman of the Investment Coordination Board and subsequently Minister of Finance from 2012 to 2014, he described his frustration with the slow pace of Chinese investment realisation during his tenure. ‘I spent a lot of time drinking tea in meetings with the Chinese, but in the end it all came to nothing’, he told me. Chinese investors typically cited land acquisition problems, a complicated policy environment and difficulty in acquiring work permits as reasons for the low level of actual construction. These figures have improved under the current administration of Joko Widodo, who has styled himself the ‘Infrastructure President’ since taking office in 2014. The latest data from Indonesia’s Investment Coordination Board show that Chinese investment realisation rose from just US$0.6 billion in 2015 to US$3.4 billion in 2017. The actual figure is likely to be more, since an unspecified level of Chinese investment flows into Indonesia via Chinese subsidiaries in Singapore and Hong Kong. The last time I visited Jakarta in 2017, I was interviewing a member of the campaign team of a candidate for the Jakarta gubernatorial elections about the influence of politicians’ wives. As a long-time political insider, privy to the inner dynamics of Indonesian politics, she trades in political gossip and was a great source for my research. During our discussion, she repeatedly returned to the upcoming gubernatorial elections, saying her candidate was entering the race because of ‘the war’. It was not my topic of interest at the time, but eventually I took the bait and asked her what war she was talking about. She looked at me incredulously. ‘The war with China’, she said, leaning in close to whisper ‘he doesn’t use our people’, referring to the incumbent Jakarta governor, an Indonesian of Chinese descent. This exchange reveals much about the attitude of some Indonesian political elites towards Chinese investment in the country. My informant was suggesting that the governor was bypassing Jakarta’s business elite by granting government contracts to Chinese businesses, effectively undermining the normal circuits of corruption. At the same time, she was implicitly identifying the incumbent governor, known as Ahok, as an outsider who has loyalties to China because of his Chinese descent. Indonesia’s ethnic Chinese, most of whom have lived in the country for generations, make up around 4 per cent of the country’s population. Used as trade mediators by Dutch colonialists and in patron-client relationships during Soeharto’s 30-year rule, they are widely considered to constitute a disproportionately wealthy section of society. Although Chinese Indonesians are prevalent in business, the reality is that a tiny minority of the super-rich conglomerate owners account for the stereotype, making the whole community socially and politically vulnerable. This was born out in 1998 when many were targeted in the violence that accompanied the fall of Soeharto. 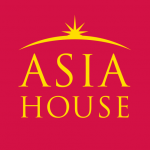 Indonesia today is a much more multicultural place, and the social and political restrictions that Chinese Indonesians operated under during the Soeharto period have disappeared. Nonetheless, the stereotypes continue to be exploited when politically expedient. As it turned out, the Jakarta governor referred to by my source lost the gubernatorial election amid a manufactured scandal alleging blasphemy which saw him spend two years in prison. Many observers are predicting that this toxic mix of underlying xenophobia and increasing mainland Chinese investment is likely to intensify in the ‘black campaigning’ for the national presidential and legislative elections in April 2019. Fuelled by social media, one particularly widespread rumour concerns a perceived ‘flood’ of 10 million Chinese workers brought over from the mainland to construct the roads and mines that have attracted Chinese investment. Other outlandish rumours on social media range from the Chinese government planting chilli seeds tainted with bacteria to a resemblance between Indonesia’s new rupiah bills and China’s yuan currency. Although not part of the official campaign, such rumours support the presidential challenger, Prabowo, in his effort to discredit the incumbent Widodo’s courting of Chinese investment. Currently trailing Widodo in the polls, Prabowo’s team has announced that he would review existing Chinese-funded projects if he wins the election. In sum, Chinese infrastructure investment in Indonesia faces a variety of challenges, including both those common to all foreign investors and those specific to China alone. Despite the political sensitivities, the overlap between the priorities of the Indonesian President Widodo – who has staked his reputation on improving the country’s infrastructure – and the aims of the BRI will ensure continued cooperation. Once the national elections are over in April, barring a surprise win by Widodo’s challenger, the current xenophobic rhetoric is likely to die down, if not disappear altogether, becoming just another chapter in the long and rocky history of these two Asian powerhouses.